Through the years as our children have grown, we have given attention to catechizing them. We’ve used several different catechisms, and have found this traditional question/answer format to be of great value in teaching our children the core doctrines of our faith. I want a catechism that has deep roots in the traditions of Christians who have gone before. I want a catechism that is manageable to teach our children and then regularly review through the years. In other words, I would rather have fewer questions that cover the core doctrines and ones with shorter answers that can be easily memorized. I can supplement the catechism by having the children learn the Ten Commandments, the Lord’s Prayer, and other Scripture, but I want the catechism itself to be relatively short compared to some much longer catechisms. For this reason I have been drawn to catechisms with 52 questions, allowing us to focus on one question per week and progress through the catechism every year. I want a catechism that I can teach my children without reservation, including on issues of doctrinal disagreement such as the Sabbath, biblical covenants, the kingdom of God, the nature of Israel, the Church, the ordinances, and the Second Coming of Christ. I want a catechism that helps teach core doctrines but that also is personal, devotional, and addresses the heart. No one catechism that I have found meets all of these priorities, so I decided to consult several historic catechisms, including the Heidelberg catechism, the Westminster catechism, Keach’s catechism, Spurgeon’s catechism, and a few other recent catechisms, to compile my own that satisfies these priorities. I tried to cover the most significant doctrinal issues, creating something that I as a premillenial, dispensational Baptist can use, but broad enough so that really any evangelical Christian with any denominational or eschatological position can use. 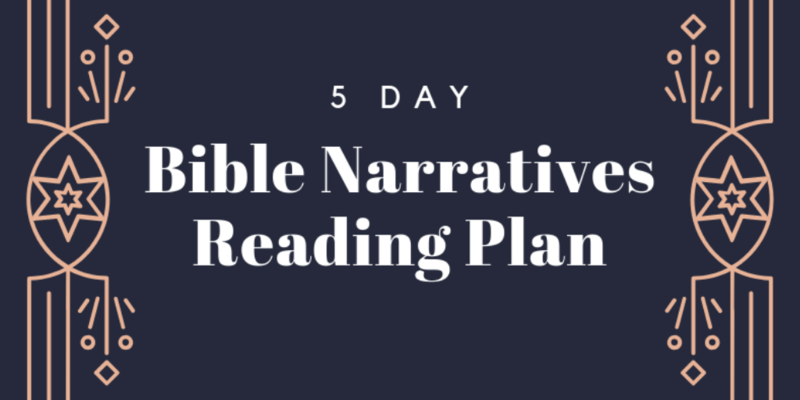 I’m doing this also as part of another project I’m working on in conjunction with our new Bible Narratives Reading Plan. Why did God make you and all things? God made me to glorify him and enjoy him forever. How did God make you and all things? God made all things out of nothing, by the Word of his power, in the space of six days, and all very good. What is special about God’s creation of you? God made me in his own image. God is a spirit and does not have a body like man. He is infinite, eternal, and unchangeable. God is the first and best of beings. He is holy, powerful, and good. There is only one true and living God. God exists in three persons: the Father, the Son, and the Holy Spirit, equal in essence, power, and glory. What are the decrees of God? The decrees of God are his eternal purposes, whereby for his own glory he has ordained whatever comes to pass. The light of nature and the works of God plainly declare that there is a God, but only his Word and Spirit effectually reveal him to me for my salvation. What rule has God given to direct you how you may glorify and enjoy him? The Word of God which is contained in the Scriptures of the Old and New Testaments is the only rule to direct me how I many glorify God and enjoy Him. How can you glorify God? I can glorify God by loving him and doing what he commands. The greatest commandment is to love the Lord my God with all my heart, soul, and mind. How can you come to know God and what he has made? Sin is any transgression against the law of God. Can you keep the law of God perfectly? I am inclined by nature to hate God and my neighbor. Because of sin, all mankind lost communion with God, are under his wrath and curse, resulting in the miseries of this life, death itself, and the pains of hell forever. Is there any way to escape the punishment of God and be again received into communion with him? God’s justice demands that I make full payment, either through myself or through a Redeemer. What kind of Redeemer must you seek? I must seek a Redeemer who is a true and righteous human and who is at the same time true God. Why must the Redeemer be a true and righteous human? The Redeemer must be a true and righteous human because the justice of God requires that only one with a human nature who has not sinned may pay for my sin. Why must the Redeemer be at the same time true God? The Redeemer must be true God so that by the power of his divine nature he might bear the burden of God’s wrath and restore to me righteousness and life. Who is that Redeemer who at the same time is true God and a true and righteous human? My only Redeemer is the Lord Jesus Christ, the eternal Son of God, who became human and died to pay the penalty for sin. How did Christ, being the Son of God, become human? Christ, the Son of God became human by taking to himself true human nature, being conceived by the Holy Spirit and the virgin Mary. How did Christ satisfy God’s just wrath for sin? Christ suffered the miseries of this life, the wrath of God, and the cursed death of the cross. Why was it necessary for Christ to humble himself even unto death? Christ humbled himself unto death because the justice of God required that satisfaction for my sins could be made in no other way than by the death of the Son of God. Christ rose again from the dead on the third day. How are you made a partaker of the redemption purchased by Christ? I am made a partaker of the redemption purchased by Christ through repentant faith in him and his substitutionary atoning death. What is faith in Jesus Christ? Faith in Jesus Christ is a saving grace, by which I receive and rest upon him alone for my salvation. What is repentance unto life? Repentance unto life is a saving grace, by which I turn from my sin to God, promising to strive after new obedience. What benefits in this life come from repentant faith in Jesus Christ? Those who repent and believe in Jesus Christ partake of justification, adoption, and sanctification. Adoption is an act of God’s free grace in which I am received as a child of God with all its rights and privileges. Sanctification is the work of God’s Spirit by which I am renewed after the image of God and am enabled more and more to die to sin and live to righteousness. The Holy Spirit is true and eternal God together with the Father and the Son. What does the Holy Spirit do for you? The Holy Spirit unites me to Christ, convicts me of sin, comforts me, and sanctifies me. Prayer is an offering up of my desires to God for things agreeable to his will, in the name of Christ, with confession of my sins and thankfulness for his mercies. The church is a community of believers in which the gospel is truly preached and the ordinances are rightly administered. To whom should you preach the gospel? I should preach the gospel to all people in all nations to the end of the earth. Baptism and the Lord’s Supper were specially instituted by Christ to represent the benefits of union with him by visible and outward signs. Baptism is an ordinance of the New Testament, instituted by Jesus Christ, to be a sign of the believer’s fellowship with Christ in his death, burial, and resurrection. What is the duty of those who are rightly baptized? It is the duty of those who are rightly baptized to join themselves to some visible and orderly church of Jesus Christ. The Lord’s Supper is an ordinance of the New Testament, instituted by Jesus Christ, to be a sign of the believer’s communion with Christ and his church through his broken body and shed blood. What benefits do believers receive from Christ at their death? Believers are at their death made perfect in holiness and immediately pass into the presence of God forever. What will be done to the wicked at death? The wicked will at their death be cast into the torments of hell. Christ ascended into heaven and sits at the Father’s right hand. How does Christ’s resurrection benefit you? Christ’s resurrection is a certain promise of my glorious resurrection. How does Christ’s ascension into heaven benefit you? Christ is my advocate in heaven before his Father and my certain promise that he will take me up to himself. Will Jesus Christ come again? Jesus Christ will come a second time in power and glory, which is the joy and hope of all believers. What will happen to believers after Christ comes again? Believers will live with Christ forever in a new heaven and a new earth. thanks, Scott. I, too, have recently been thinking about this, thinking of our younger children at church. I looked at several online, but did not find any one that I was thrilled about. I wanted something simple, baptistic in nature, and was supported by Biblical references. Not finding anything, I compiled me own, using thoughts from others. It is about 45 questions, with four or five questions regarding each of the major doctrines of the faith (exclusing angelology)and supported by two Scriptural texts. I did not do 52 because we rarely have 52 Sundays that we are able to have services each year (it’s New England after all, where we got another 8″ last night). It is not a perfect product, and I will look at yours to see how I might be able to integrate some of your thoughts into mine (If I have your permission to do so). Oh, that’s great! I’d love to see yours. I was thinking 52 weeks because I’m combining this with a family reading plan study guide I’m working on.